GOLF season is here! The grass is green, the sun is warm... but not too warm yet. 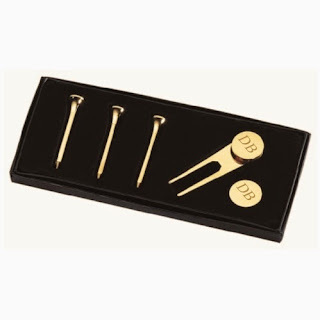 One of our favorite gifts for the golfer is a monogrammed Golf Tee Set. It makes a great Father's Day Gift. So, check out this nice gift set HERE!